On Thursday June 16th, the F35 Lightning II demonstration team of the U.S. Air Force visited the Believe in Tomorrow Children’s House by the Sea. Team Chief Msgt. Ed DeLeon was on site, along with three of his team members. This marks the second year in a row that U.S. Military Airmen will visit the Believe in Tomorrow Children’s House by the Sea during the Ocean City Air Show. 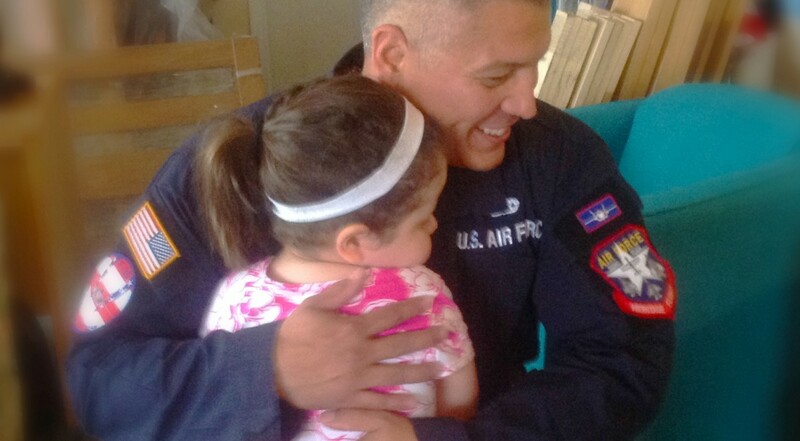 Last year, members of the Blue Angels made lifetime memories for the families visiting the Children’s House. For the families visiting the Children’s House by the Sea, moments such as these create lifelong memories. Each family at the Children’s House by the Sea is currently undergoing severe medical treatments for a child, and these special moments provide a much-needed retreat from the stresses of a medical routine. Believe In Tomorrow Children’s Foundation would like to sincerely thank the crew members of the United States Air Force F-35 Demonstration Team who spent their time with us. Their time helped create memories that will last a lifetime with the children and families staying with us at the beach. We truly appreciate their time, and hope to see them again soon.